All of this rattling on about nothing is leading to something. I’ve been thinking about some other neat things that we like and/or use around here. I thought I’d share. I’m friendly like that. In an effort to cancel out the delightful harmful effects of my daily devil dog consumption, Sweetman has gotten me hooked on having a cup of piping hot decaf green tea with him each night before bed. He figures it will at least balance out some of the “harm” done. (He has NO room to judge – he with his Suzy Q’s sitting dangerously close to my Devil Dog!) 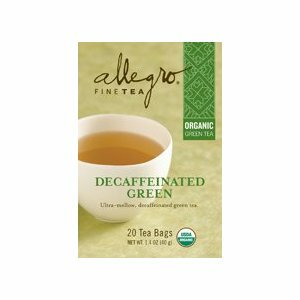 I’ve become quite a fan of Allegro Organic Decaf Green Tea. Thank you Sweetman for keeping me somewhat healthy! I can’t do curry. Seriously. I puke. Involuntarily. I’m sorry, TMI, I know. (Which really is a double shame, because Sweetman’s best friend is Punjabi. I wasn’t able to be anywhere within a two-mile radius of his wedding festivities throughout most of the wedding party weekend. Poor Sweetman had to literally change his clothes before entering the hotel room each night so as not to prompt The Puking.) So, why am I mentioning that? I hesitate to display the range of my ignorance, but here goes… I foolishly thought that Taboule had curry in it. Therefore, I’ve never attempted to try it. Unbeknownst to me, while at a little housewarming party last month, I tried a dip that had Taboule in it. And it was delicious!!! So, I’ve fallen a tad bit in love with the stuff. I think I’ve had it with some pita chips for lunch once or twelve times this month. Cedar’s Taboule is my favorite this minute. But if you have a brand that you love and would like to share, please do! And, that’s a wrap. It’s a gorgeous day here, so I’m off to play. Enjoy! This entry was posted in Cooking Indeed, Things & Stuff and tagged Allegro, Decaf, devil dogs, green tea, healthy, Lists, T-Shirts, Taboule, tea, Wild Olive. Bookmark the permalink. Never saw those t-shirts, but I’m going to check them out! Thanks. They are beautiful for us adults and precious for the kids. I love me some Taboule! I haven’t had it since moving to Jersey, and I MISS IT! I loved making it myself, but good laws, it’s a lot of trouble! 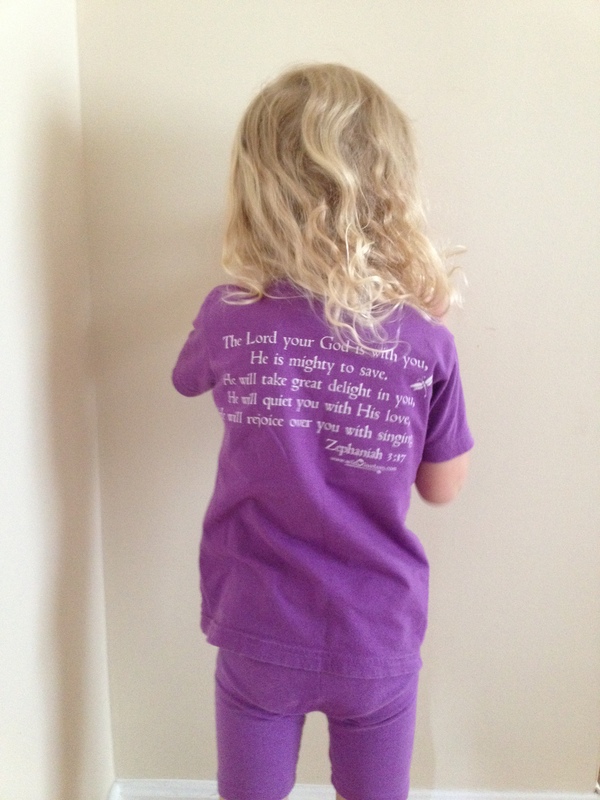 I’ll have to check out the T-shirt website. Sounds neat! Thanks for the sweet comments on the blog. I love reading yours so it means a lot coming from you!!! By the way, I was wondering if you wanted to guest blog or something…and I wanted a ‘button’ to grab from your page, but I don’t see one. Girl, MAKE one so I can get you on my page and send some folks your way! Love! Oh my word, I’d be honored to guest blog! I haven’t made a button yet because I’m all slow like that… 🙂 I’ll get on it though! Thank you for the kind words- love when you stop by!!! hey is the wildolive company the one you told me about here in Georgia? Hi Lori! I’m not sure if they are based in GA after all. Gonna have to check. Were we talking about T-shirts at the time?